Absolutely amazing volume and sound, very light with great tuning heads. No buzzes, i can actually play very hard on this guitar. The high E is very loud making melodies on the first string much more clear. This is one lively, clear sounding guitar. I have an Alvarez guitar which was 1000 more dollars and it is not nearly as good, in fact it feels like junk now! This guitar continues to amaze me regardless of the 330$ price! I would love to see the high-end models. It is not perfect however, but these following qualities are not issues that affect the sound of the instrument, more so they affect the aesthetics, feel and durability. 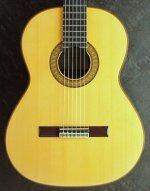 It is lacking: fine sanding in the interior, fret polishing, back binding, fretboard binding, fancy back and sides, has a rosewood neck (traditionally ebony), elaborate rossette, and fret edges are sharp. Also note that the action on this instrument is in concert set up. This means high action, but this is needed for sound range and tone. To wrap it up, i perform with this guitar and i feel great with it. 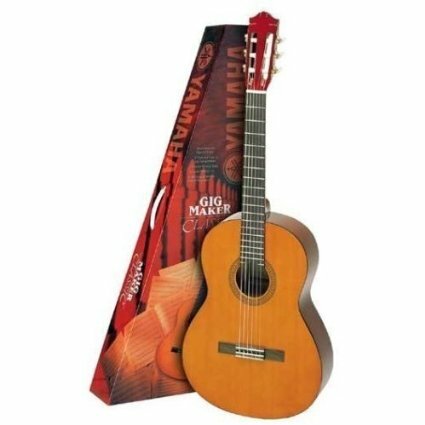 If you are a Flamenco player you should not play Almansa 401, because its strings are very high from the fret and you will be hardly play flamenco..
For a long time, Yamaha was the undisputed king of the inexpensive guitar, nylon or steel. Many people have a story about some old plywood Yamaha bought from a pawn shop for 35 bucks, and didn't it sound good, straight neck, clear tone, lively feel. But in recent years Almansa has taken the low-cost crown for its own. 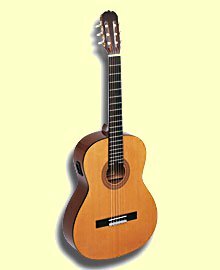 The 401 is indeed a very nice guitar, and Yamaha just can't match it, in my opinion, for what it costs, somewhere around 250 dollars new. The cosmetic shortcomings mentioned by the reviewer are sometimes part of the deal, to some extent, because there is not much profit margin in a guitar that retails for that price. 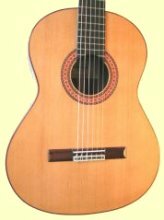 Almansa has opted to provide a better sounding guitar, and maybe backed off a little on cosmetic details. A good trade off. Good for you, Almansa. I started learning ( self-study ) Flamenco 10 weeks ago. I have an Almansa 401 Spruce. I know it is not "Flamenco" guitar, but I wonder if it is OK to play Flamenco on it. Any experience , comments ?